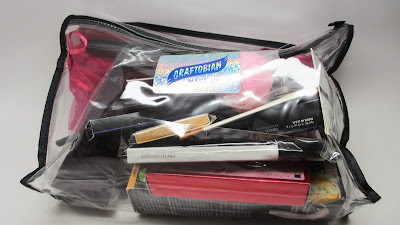 Home give-away Holiday Tis the Season for Giving - Makeup Kit Giveaway! It's time for another giveaway! This one is near and dear to my heart. I've mentioned before that I'm on a board of a non-profit organization called Generacion Latina. We host weekly after innovative after school session/field trips and community service with two high schools here in Atlanta in order to prepare them for the real world after high school. I'm super lucky because i'm able to combine two passions of mine - Beauty and Community Service. 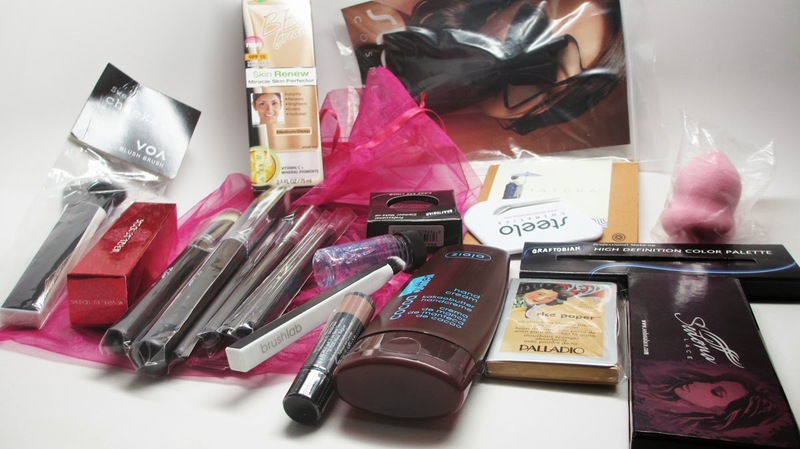 Today I'll be hosting a giveaway of an amazing goody bag that I gave away at one of my seminars for the non-profit. Check it out! I held my beauty workshop showing the teens how to apply professional makeup for job and college interviews. I wish someone had showed me that back in high school! Here's a shot of me working with one of the students. 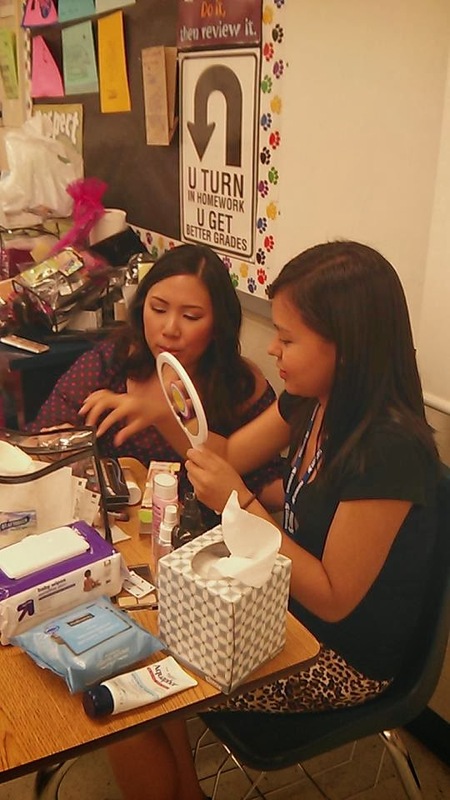 Some of the goodies include a BB Cream, Brushes, lipstick, eyeliner, blotting sheets...basic items needed to complete a professional face. 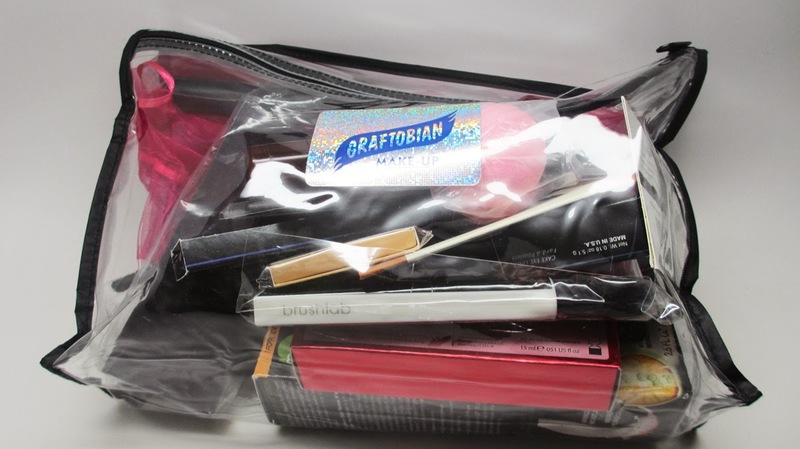 Since it's the Season of Giving I decided to give away an extra makeup kit to one of my fabulous readers! I'll pick a winner at random (one of the new likes) and announce it next week! Good luck and thanks again for all your support! i would be grateful to win your giveaway! just started with makeup! You're an amazing person to be voluteering for such a useful organization! Thanks for the giveaway! Love this! And all that you do! Awesome individual! Its great what you are doing with these kids. We all need to help everyone and you are doing more than you think for these kids by just helping to instill confidence. Kudos! I am new (believe it or not) to actually wearing makeup. I just started building my kit and something like this would be perfect! Thank you for your generosity! What are the lipsticks included in the giveaway! I’d love to win it!